Here are some more samples of my continuing quest to become a sketchnoter. 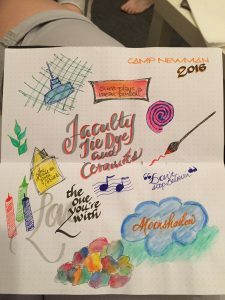 While spending two weeks at an overnight camp is a departure from the typical sketchnote-worthy activity, I thought it would be a good place to practice. Still loving the process! 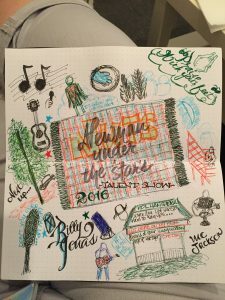 I’m starting a new feature called “learn with me.” I realized that, more than anything else, I’m curious. About everything. As a child, I was constantly reading. I remember not being able to eat breakfast unless the cereal box (now, there’s some fascinating literature) was sitting in front of me so I could read it. Of course, that was before the Internet. Now, I find myself eating dinner in front of the TV, with my iPad or phone in front of me. I realize that’s not what a nutritionist would suggest, but it’s perfect for a lifelong learner. Anyway, whenever people ask me what I love most about my job, my answer typically is that there’s always something new to learn. I rarely do things the same way twice. In fact, the best part of repeating something you did before is figuring out how to improve on last year’s effort. 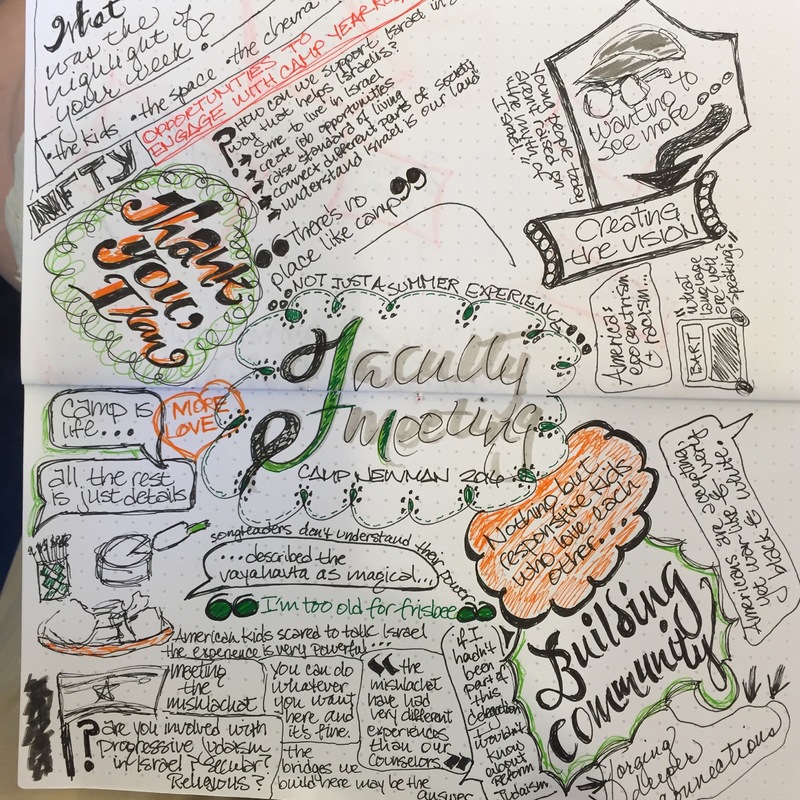 We will be getting a cart of iPad Pros next year with Apple Pencils, so I have been studying the whole sketchnoting field and figuring out how to teach it to my 7th and 8th grade students next year. 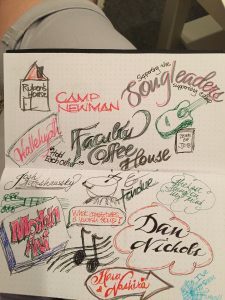 Why sketchnoting on an iPad? First, I figure the iPad app Paper will be a terrific way for the students to be able to combine sketching with using the iPad. Paper is a great app, and there are lots of ways that students will be able to use it. The advantage to using the iPad for sketchnoting is that electronic sketchnotes can easily be shared and tagged for reference. The first is the “why.” I’ll start with why we take notes, and how studies are showing that taking notes using your hand is more effective than typing them. The second will be to learn how to use Paper and the stylus. There are a number of terrific tutorials here. Then we’ll have the students create their own drawings using the app. 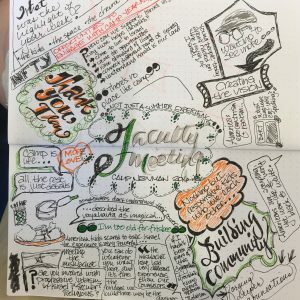 I think it will be helpful to find some TED talks that are of interest to the specific grade level, and practice sketchnoting to those, before using them in an actual class. 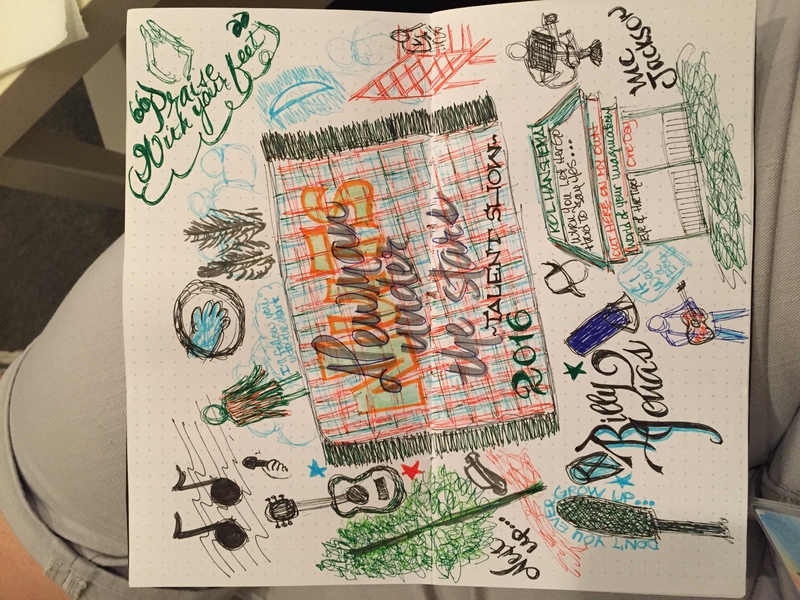 In fact – that’s what I’m doing to hone my sketchnoting skills. The other thing that I’ll do with my students is have them develop their own library of images (ideas, important connections, for more information, etc.) and then put them on the side of a drawing (like a key). 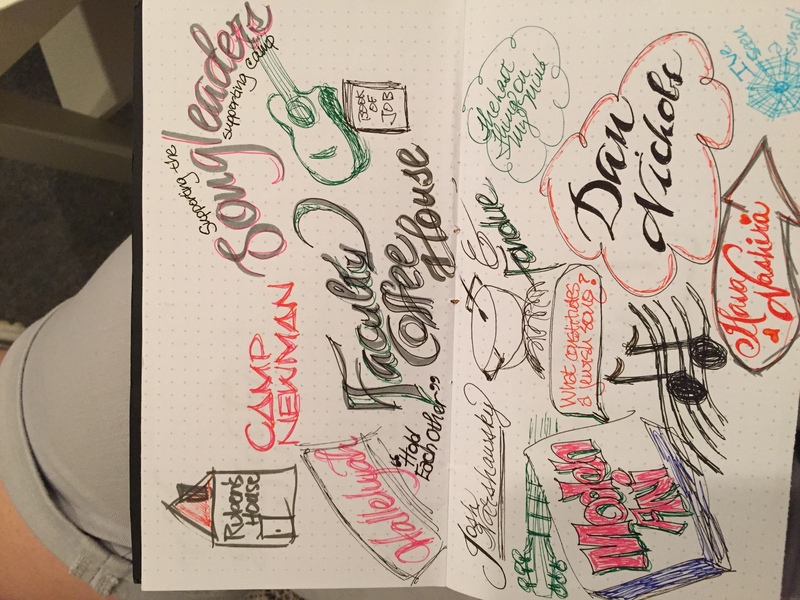 Then, they can use that drawing as a template for each of their subsequent sketchnotes. That way, they don’t have to figure out how to redraw an image over and over; they can just select and copy it to wherever they need it when they’re doing the actual sketchnote. 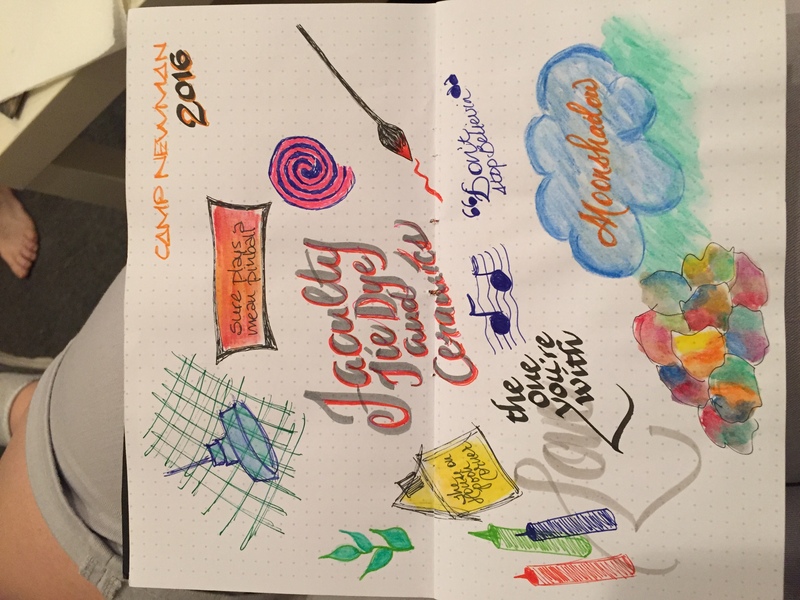 I’m excited to try sketchnoting! Stay tuned!